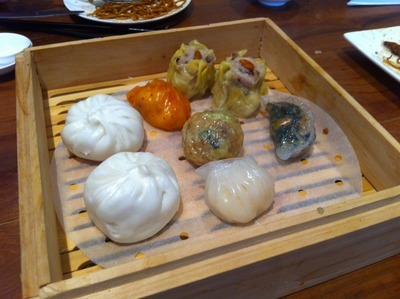 If you love yum cha, noodles and dumplings, Chefs Gallery is hard to beat. Unlike old school Chinese restaurants decorated with round tables, lazy susans and red dragons, Chefs Gallery exhibits the atmosphere, service and finesse of a modern restaurant without the price tag. 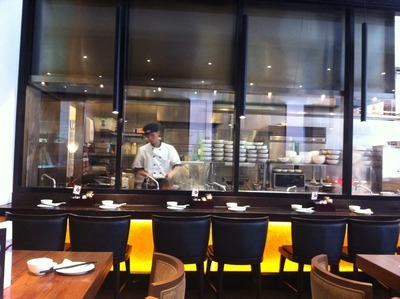 The name is apparent as soon as you step food inside, as the chefs are showcased in a glass walled kitchen. Diners can delight in watching the chefs prepare dishes with precision, wearing their immaculate uniforms and plastic mouth sheilds. So what's so good about the noodles at Chefs Gallery you ask? They are delicate, delicious, and so very fresh. The dumplings are just as tasty and comparable to the dumplings and noodles on offer at Din Tai Fung, though you won't have to wait in a long queue and they actually do take bookings. [ADVERT]The dumplings are available steamed and fried, however, if you find there is too many choices just order a sampling Platter. There are 3 varieties of handmade noodles - regular, egg and fettuccin - and they are served fried, in soups, and dry with a range of different flavours. For the purist, noodles in chicken soup might seem boring but the flavour is so clean and tasty. If you fancy something with bite try the curry diced chicken noodles. For a stir fry, the wok fried noodles with shredded roast duck in soya sauce is delicious; a little oily on the mouth, but you wont be able stop until the plate is clean. What else? They also have lovely fried rice, flakey Chinese Rosti, and a variety of chefs choices from sweet and dark pork ribs to egg and spinach tofu. 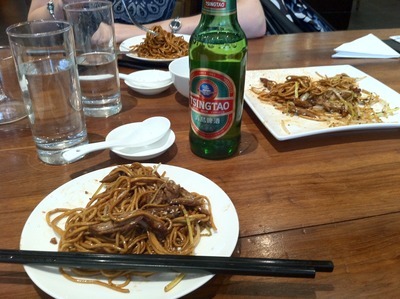 If you are on a budget, try the lunch menu, where everything is under $17. 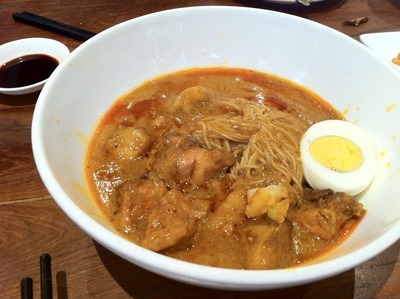 Have you tasted the noodles at Chefs Gallery? If so we would like to hear what your tastebuds thought.